I talked with Andy Powell from Wishbone Ash about the bands career and being able to travel the world. Q: Is there a story behind a band name? It’s kind of a ying-yang thing. Wishbone is a symbol of good luck, whereas Ash is a sign of decay. We wanted a name that could let us fit into different genres. Q: What is your favorite part of touring? Being able to dip in and out of different cultures. One day you’re in France, the next you’re in Switzerland, and the next you’re in Rome. It’s great to be able to experience different ways of life, beautiful views, and meeting tons of great people. Q: You’ve been doing this for a while. What does it take to stay relevant in this business? What does it take to stay wealthy? OH!! ::both laugh:: I’ve been doing this for 48 years, actually. You’ve got to be appreciated by your peers and fans with some type of integrity. Being humble is good. There were times in my career where I’ve let my integrity falter, but I’ve always brought it back. Q: What was it like recording your “Live In Paris” DVD concert? It was nerve wracking. It was kind of a smaller theater for us to perform in. It was very up close and personal. That’s great, but there’s NO room for error in those instances. It was work. Q: What has been the response to your autobiography, which was released in 2015? The response has been great. It’s been overwhelming at times.I’m at an age where there are a good number of musicians who have been around the same length of time, so there’s stiff competition. I’ve been told it stacks up very well. It was such a daunting project. I do blogs, but to write a book? It was quite something to undertake. It was gratifying in the end. Q: Are you excited about your show here in Annapolis? Always love Rams Head! I have family in Annapolis, so I’ve become quite tuned into Maryland and the culture there. The crowd is always incredibly supportive. 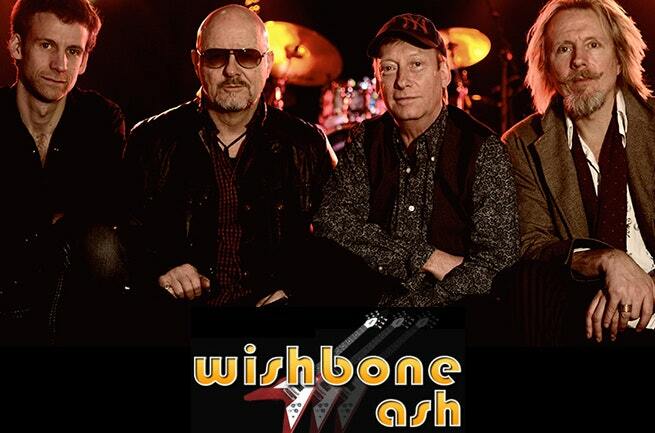 Wishbone Ash headlines Rams Head Annapolis Monday!